2 Comments Published by Terrace Crawford on 2/28/10 at 1:38 PM. Jake Rutenbar premiered his new rap video last night at the conference. You've got to take a listen to the words of wisdom. I was surprised to see this duo show up at the conference. I've never seen them perform live but these two friends of mine blew the audience away with their live performance on Friday evening and this video last night. 0 Comments Published by Terrace Crawford on 2/27/10 at 10:45 PM. I'm in Chicago for the Simply Youth Ministry Conference. 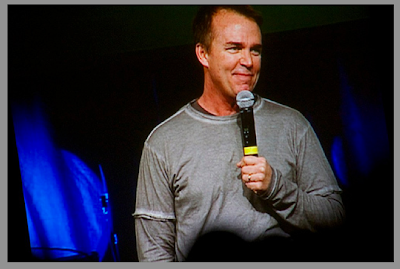 Here's a few snapshots from the kick-off to this conference, courtesy of my good friend, DC Curry. If you can't join us in Chicago, make sure you check out the live stream [here]. You can also follow my musings on twitter [here]. For more photos, go [here]. 1 Comments Published by Terrace Crawford on 2/26/10 at 7:44 AM. Last September I had the privilege of joining 11 other bloggers in hosting The Nines conference right here at TerraceCrawford.com. It was a free, online conference with over 60 world-class speakers brought to you by the Leadership Network and Catalyst. On March 3rd (just 5 days away! ), Leadership Network will bring you another free, online conference featuring 40 voices you've probably never heard before. It's called aHa! and will feature ministry leaders who will be sharing their biggest Aha! moments in ministry. The conference is FREE, but you do have to register [here] by March 3rd to attend. 2 Comments Published by Terrace Crawford on 2/24/10 at 11:08 PM. I'm getting on an "aeroplane" (pronounced like Vanessa Wolfe, from the great land of Vonore, did on American Idol) and heading for Chicago today. 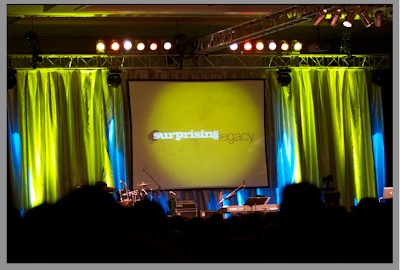 I'll be attending the Simply Youth Ministry Conference with 2,500 other youth workers. 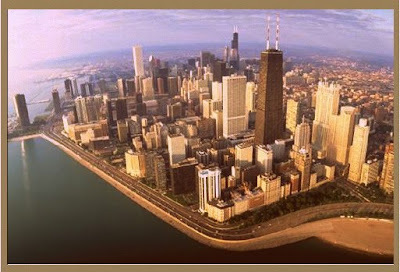 I'm sure I'll blog while in the windy city but I'll definitely be pushing tweets your way. You can follow those tweets [here]. The conference is SOLD OUT ... and many of you weren't able to get in but I'm told the conference will stream live and you can experience it [here], beginning on Friday morning. 3 Comments Published by Terrace Crawford on 2/22/10 at 8:04 PM. Really liked the temp this weekend. Sunny with a chill in the air... Can't beat that. Loving this new series I'm doing with students, "Entourage!" Got to join a pastor's network for lunch today. Great hanging with them. Took a tour of Union Mission while in Norfolk, VA today. They are doing some incredible work in the city, states and even overseas. #FacebookFact: I only poke one person on facebook. You'll soon find out who that is if you keep reading this blog. I've been poking them for over 2 years now too - on a daily basis. Nothing gets more attention for me, it seems, than my hair. Someone made [this comment] about my hair on Saturday. I tweeted it... posted it to Facebook... and my computer blew up. This scripture has been on my mind & heart for a few weeks. It is my favorite of this season of my life, for sure. Selected a youth worker to mentor for the next 10 weeks as part of the LISM's mentorship program. Looking forward to spending some time with him. Got a phone call from a friend earlier today, who told me that they have been diagnosed with cancer. My heart sank. #Ihatecancer. My alma mater contacted me to let me know I was nominated numerous times to represent the University's Alumni on this year's leadership council. I was deeply honored to receive that news because I love my alma mater. Of course, you already know that. A good friend, and entrepreneur, emailed me to inform me that he has the perfect book idea for me to write. I'm dying to hear it. Love the roll-out for Ben Arment's new book due out in April. HELP! provide much needed tents for Haitians. Click [here] to find out how to help. 12 Comments Published by Terrace Crawford on 2/18/10 at 12:49 PM. I don't know Barry, but today I ring the bell for him. Barry wanted to celebrate his last chemo treatment today... and I rang a bell for him. The word "chemo" came home to me last November, when my mother (Rita) was diagnosed with Breast cancer. It's been a long journey already but I've seen God work in amazing ways in her life. She is such a trooper through it all. She's got 3 (treatments) down, 3 to go. Then a short stint of radiation. By summer I'm hoping to see her enjoying a vacation at the beach, her favorite place, with a full head of hair blowing in the wind. So Barry, even though I don't know you... I feel like I already do. 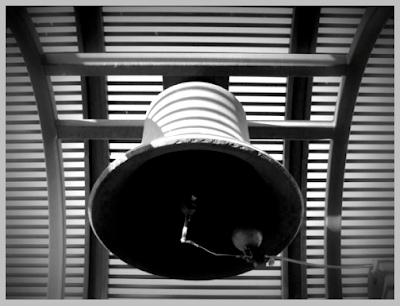 And today, sir, I ring the bell for you. 4 Comments Published by Terrace Crawford on 2/15/10 at 8:29 PM. Heard on the radio today that it was "Singles Awareness Day." Had a great time in South Carolina last week. Got to visit my old stomping grounds, visit WMHK-FM (where I use to work), and probably the best part - hanging with my mentors, friends and family. 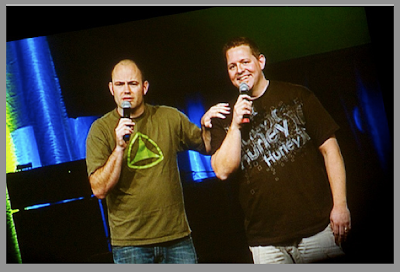 Got to speak in our weekend services at Crossroads. I continued our series "ONE" by speaking on the subject of Faith. Really felt like I grew a TON through preparing for that message. I'm a firm believer that your message has to speak to you first, before you can speak it to others. So glad it didn't snow. Well, actually, it snowed a little but virtually no accumulation. South Carolina, on the other hand, got 3 inches over the weekend. Grabbed some ChickFila for lunch today. Saw a good friend who insisted on treating me. Gotta love friends! Check out the new ChickFila Leadercast. I managed to miss the Opening Ceremony of the Olympics. Would you join me in prayer for a car? I need one badly. I'd love to see Betty White on SNL. They should have her and Justin Timberlake host one together. We showed Kirk Franklin & Friend's video on Sunday during our weekend services. I've watched [this vid] about 100 times now. Why do I let one negative comment about me overshadow 9 glowing other ones? Ugh. This guy is blowing up twitter and facebook with his passion to help Haiti and it's darn inspiring. I love his tenacity for this. I'm not a super pastor. I need to be reminded... and so do others. I'm eating a fruit roll-up as I type this. I had forgotten how good these things were. ...and now I'm having another. 3 Comments Published by Terrace Crawford on 2/13/10 at 5:18 PM. Ran across this KILLER version of "We Are the World" just after hearing the remake by the celebrities you know and love. You simply MUST hear THIS version... which I actually like better. Both groups of artists (the amateurs and the celebrities) are donating all proceeds to Haiti, so its a win win. I have a number of friends on the ground in Haiti now, as of Thursday. Click [here] to follow their journey and join me in prayer for them this week as they help with the relief work. 0 Comments Published by Terrace Crawford on at 4:56 PM. A few days ago I blogged about my alma mater hosting our all-expenses paid retreat for youth workers. Here's a lovely pic we took of our group during the festivities. We all looked so good that we turned back the hands of time - notice the date, 01/02/2005. Someone forgot to reset the date and time - and failed to turn the date stamp off. =) #PhotographyFAIL. 6 Comments Published by Terrace Crawford on 2/11/10 at 12:47 PM. I have the habit of doing self-reflection periodically, and this retreat offered me that opportunity, but I'm finding that it needs to be more frequent than that. To be the very best leader that I can be I need to consistently check myself in the mirror - and I'm not referring to vanity here. Checking your motives, use of power and platform, etc. are things that are of the upmost importance as you lead. Sometimes we need others to be that mirror for us - because we personally don't have the full capacity to see ourselves as others see us. Post a quote (perhaps Bill George's quote above) somewhere visible (bathroom mirror?) that will remind me of the importance of self-reflection. Asking those closest to me for candid, constructive feedback at least once a week. Take time weekly (even 15 or 20 minutes) to reflect on areas that need improvement and develop action items for improvement. Regulary journal in my moleskin thoughts, feelings or takeaways from my conversations with others and my self-reflection. What others would you add to this list? How are you doing with self-reflection? 4 Comments Published by Terrace Crawford on 2/8/10 at 1:47 PM. Another weekend... another winter blizzard. Last weekend I came down with cabin fever. This weekend I came down with the flu. By Saturday I was back on my feet... and decided to get out of town early. Looking forward to eating at a restaurant I use to frequent when I lived in the great state of SC. Got to see my family this weekend and watched the SuperBowl with them. I like the Colts but I was rooting for the Saints to claim their first ever SuperBowl win. Glad they picked up the victory. 106 million people watched the SuperBowl this year. Wowza! Thought the Letterman-Oprah-Leno ad was clever. Here's a little scoopie on how it all came together. Preparing to speak in the weekend services at Crossroads. I depend too much on Facebook to remind me who is celebrating a birthday these days. Loved this charity single released to help Haiti. Saw the Book of Eli last week. One of the best flicks I've seen in a while. A friend of a friend is selling T-shirts with all proceeds benefiting the relief work in Haiti. Check out the online store [here]. More on this charity later. I have a headache, which means this post will now end. 60 Comments Published by Terrace Crawford on at 1:33 PM. Last year I blogged about how my alma mater rocks. I still believe it does. They believe so much in their alumni and invest so much in their spiritual formation that each year they put together an all-expenses paid retreat for youth workers (which is this week! ), complete with some quality time with each of the youth ministry professors. I've been looking forward to this retreat for months. 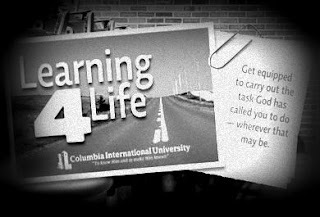 The friendships, mentoring and spiritual investment that I've experienced at Columbia have been worth every penny! 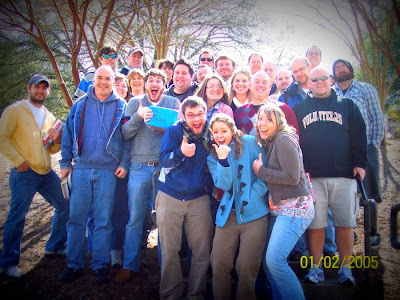 So this week I'm gathering with fellow youth workers in South Carolina to laugh, share and learn. 1 Comments Published by Terrace Crawford on 2/6/10 at 7:41 AM. Simon Cowell has organized a charity single to help Haiti. The single is REM's "Everybody Hurts" but with new voices. You can listen to it here, but you should buy it when it goes on sale tomorrow. If you think you’ve had too much of this, well hang on..
2 Comments Published by Terrace Crawford on 2/5/10 at 7:57 PM. 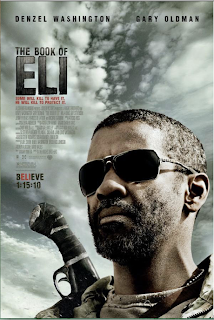 A few days ago I saw The Book of Eli in theaters. This is one of the best films I've seen in years! Here's a quick synopsis: Eli (Denzel Washington) has been on a journey for 30 years walking westward after a cataclysmic war and "the big Flash" turned the world into a wasteland. Eli has in his possession the only remaining copy of "the Book" and must protect it and ultimately deliver it to its final destination. This story is about Eli's journey -- and the Book that he believes that is humanity's only hope for its future. 9 Comments Published by Terrace Crawford on 2/3/10 at 10:18 PM. I watched this video recently of Red Skelton reciting the Pledge of Allegiance. This great communicator speaks to the meaning behind the words in the pledge. Even though this piece was filmed in the 60's, its timely for our nation today. How often have you heard the pledge or even recited it and blown right past the very meaning behind the words? Thanks Red! May we remember this every time we hear or recite those words or see the Red, White and Blue. 16 Comments Published by Terrace Crawford on at 10:39 AM. I thought... "Hmm, I don't know. If I played the lottery I don't think I'd use number 15. Not that there's anything wrong with number 15... I just wouldn't play that number." I didn't know until today what these numbers stood for. Do you? I could have found out last night, but I couldn't seem to get anyone on the phone. ... and dare I touch this craze? When I sign-on to Facebook I see people swapping cows, chickens & sheep. It's funny to me. Perhaps one day I'll buy the farm. I have to get a car first though. 0 Comments Published by Terrace Crawford on 2/1/10 at 8:19 PM. The weekend was a bit crazy. I got nearly 10 inches of snow dumped in my yard. Came down with cabin fever yesterday. Snow came in early Saturday morning and this afternoon was the first time I had stepped outside at all. I went to Walmart. It's right around the corner from my house, so I didn't have to travel too far. My newest fear is that I'll find my picture plastered on the People of Walmart site. Ha. Felt weird canceling services this weekend. I watched three different services online and on television. Praise the Lamb for web-streaming. WinterJam was supposed to come through our city on Sunday. It got postponed until March. Thought the Grammy's was much better than what I remember in recent years. Viewership was up 65% too I hear. My constant treat this past weekend. I may need an intervention. I don't quite get the Farmville craze. Heading down to South Carolina this weekend for a youth pastor retreat. I can't wait! It's been a while since I've retreated. I'll get to see my mentors while I'm away - which is time I really need. If you register by February 28th you can win an iPad. Was listening to two announcers on the radio talk about the "big game" this weekend. They are prohibited now in using the term "SuperBowl" or even mentioning the NFL teams. That is so stupid! Did you also know that your church is encouraged to use the same terminology ("Big Game") if you show it to your congregants this weekend? 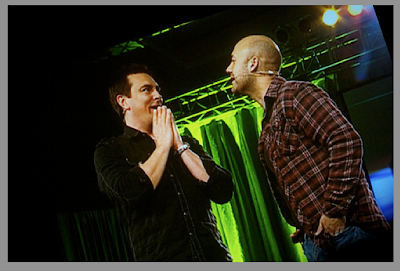 Looking forward to the SYMC in Chicago later this month. Hope to see you there.